Strong demand for the new E class has helped boost Mercedes' overall vehicles. MUNICH -- Mercedes-Benz's registrations rose 11 percent to 209,309 in June as demand for the new E-class and the automaker's SUVs helped widen its global luxury-car sales lead over BMW in the first half of the year. Sales of BMW brand vehicles rose 2 percent to 192,873 last month, while third-placed Audi saw sales rise 1 percent to 170,650. Through June, Mercedes sold 1.14 million cars, 14 percent more than a year earlier. BMW, which is has started to expand its SUV offering and renew an aging lineup of sedans, lagged behind with a 5.2 percent gain to 1.03 million vehicles. Audi registrations fell 4.7 percent to 908,950. BMW sold 106,244 fewer vehicles in the first half than Mercedes, versus a difference of 89,818 cars in the five months through May. Although BMW says it is putting profit before volume, CEO Harald Krueger has vowed to win back the luxury-car sales crown with the biggest product offensive in the company's history. Last year, Mercedes overtook BMW for the first time in more than a decade with a fresh lineup and some all-new models, including the GLC coupe-styled SUV, that have attracted younger buyers. Audi continued to be dogged by parent Volkswagen Group’s diesel-emission cheating scandal and a dealer dispute in its biggest market, China. The automaker is counting on its fourth-generation A8 flagship sedan, unveiled in Barcelona on Tuesday, to help put it back in the race. 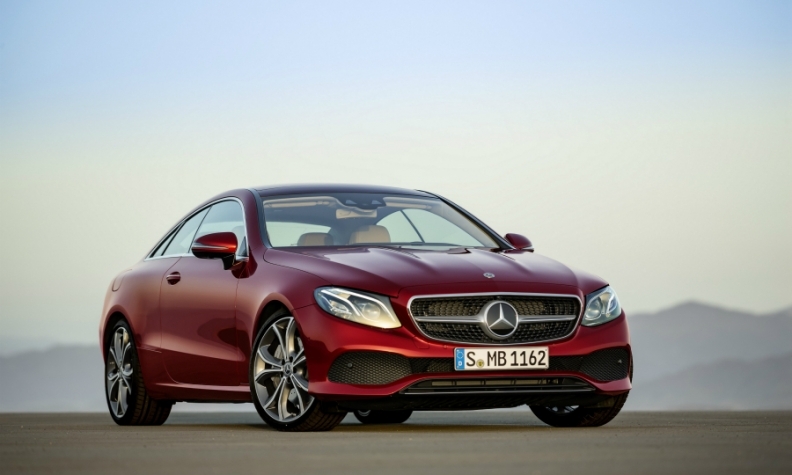 "Mercedes has the better momentum as they have a relatively new palette of models," said NordLB analyst Frank Schwope. "It will definitely be a tight race again in coming years and even Audi isn't a lost cause, but this year Mercedes will stay on top." Sales of Mercedes' latest E class surged 68 percent in the first half, and demand for its SUVs gained 13 percent. BMW's X1 SUV was its biggest growth driver in the period. Mercedes' star has been rising since chief designer Gorden Wagener led a radical redesign five years ago. He introduced jutting grilles and broader haunches over the rear wheels, transforming the marque's image from stodgy to sporty and giving it the edge it needed to surpass BMW and Audi. Mercedes also got a boost after expanding its SUV lineup. While Mercedes has been surging ahead, Krueger's had to wait out BMW's redesign cycle, and the revamps he's overseen have been conservative. In February, BMW launched the first fully updated model under the CEO's reign -- a new 5-series sedan that hid its most interesting innovations under the hood. Krueger plans to catch up by rolling out 40 vehicles over the next two years, including the new X2 compact SUV and a full-size X7 crossover.